It’s Passover and after four glasses of wine I was determined to write an uplifting post, but I recently discovered something I had written many years ago during a dark period of my life. It’s not uplifting but I thought it worth sharing in the spirit of thankfulness. “Thank God I don’t have to pay for parking every day”, I tell myself as I pull into the garage on Pine Street for the fifth time that week. I leave the key in the ignition, lower the driver’s window and say “40 minutes” to the attendant. He doesn’t hear me because he knows me. I’m one of those regular hospital patients who return every day for the duration of their treatment. I wonder if he ever asks himself what dread disease I have. I stroll out into the clear San Francisco sunshine and without stopping take out my cell phone and turn it off. Nobody tells me to do this but the incongruity of a cell phone ringing in the waiting room of the radiation oncology department, is so striking that I have no doubt this is the right thing to do. I turn into the hospital and go directly to the men’s room to wash my hands. Hospitals affect me that way. I enter the elevator going down to the basement with a middle-aged couple. Neither of them has the look of a cancer patient. They exit the elevator and turn left towards the Spinal Injury Department. I turn right towards Radiation Oncology. ‘Radiation’, ‘oncology’, the words themselves carry enough weight to cause a spinal injury. I go through an unmarked door with the confidence of an insider. Once through I open the door of the patient waiting room, and notice that there are a number of new faces. I move confidently, indicating silently to the newcomers that I know the ropes, take a hospital smock from the neat pile and choose a changing room. I strip from the waist up, slip on the smock and curse for the umpteenth time as I struggle to tie a bow over my left shoulder with the minuscule ties. Back in the waiting room I pour myself a small plastic cup of water. Dry mouth, an unpleasant side-effect of the radiation, means that a bottle or a glass of water, are my constant companions. I search for Zoetrope on the magazine rack and wait for my name to be called. The waiting room has all the features that the manual on decorating waiting rooms for cancer patients says it should have, a large aquarium with gulping fish, a leafy plant hiding a discreet CD player from which emanates syrupy vocal numbers, a notice board on which are pinned a variety of flyers for self-help and support groups, a surprisingly well-stocked magazine rack and a water cooler. The room itself is painted in a pale pink color that the manual probably says is ‘relaxing’ and ‘easy on the eyes’. Except for the music nobody speaks. Facing me is a petite and elderly Asian woman who sits erect and still as a statue until the door opens and a technician enters to call someone’s name. Whatever name is called the Asian woman is half out of her seat before the technician waves her back with his hand. “Not yet Mrs. Wu”, he says. She sits back on her chair and resumes her statuesque pose. On my left is another patient, this time an elderly man whose head is permanently lowered on to his chest as if he fell asleep while sitting. His well-heeled wife sits next to him and stares vacantly at the wall opposite her. In the corner, next to the plant, is a wiry black man in his 40’s with a permanent grin. I have seen him before. When he walks he does so with a rolling gait, half turning from side to side with his arms bent in front of him as if he is walking in rhythm with some secret music that only he can hear. The door opens. “Mr. Greenhill”, calls the technician. I put down Zoetrope and walk through the door with her. Strange, I found this post uplifting. Such an intense moment, but you bring it down to a level where the reader (me) is able to experience this part of your day. Insight into fear, but with your smooth writing style it is possible to be detached from that fear. Difficult time, but also knowing that a time of healing is required and you/me are prepared for this. Wish you a fine weekend Malcolm. Dalo, thank you. Your comment is spot-on. Re-reading this piece I realize how I was also detached at the time and not just from the fear. It was as if I was observing a scene that did not include me. I am sure this was some type of coping mechanism although I am by nature rather philosophical about everything. Thank you Bonnie. When a poet of your caliber uses the word ‘eloquently’ it’s a real compliment. What’s uplifting is that you wrote it years ago and are still around to share it with us. 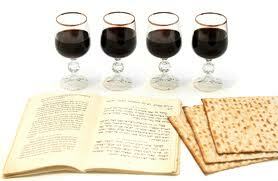 Happy Passover to you. Yes, I hadn’t thought of that. So true. Thank you Sally and happy Easter to you. Happy Passover, Malcolm, and thank you for sharing your tenuous moment. There’s always much for which to be thankful, especially after a storm. Yes and I think there is even something to be thankful for during a storm. It is not often one gets to experience such intensity of feeling. Assuming one survives, one is all the richer for the experience. I’m grateful you are still here, too. I’ll soon be going to Colorado, my dad is in hospice as we speak. He had Chronic Lymphocytic Luekemia and stomach cancer, but he’d been clear of cancer for four years…until a couple of months ago. He’s now got stage 4 lung cancer. It’s interesting the small things you notice, that other people might take for granted. Maybe that’s how you are wired anyway, or maybe it was the specter of Death. Have you watched the film Griefwalker? Thank you Casey, Sorry to hear the news about your father. I love that quote and thanks to you am looking forward to watching Griefwalker in the next few days. Thanks Jon. Books are articles that someone persuaded the author to pad out into a book. Blogs are better as you get to read the articles themselves. Maybe so. But your ability to paint a scene with very few brush strokes is an uncommon talent. How about a book of short stories? Jon, thank you for your vote of support. I have never tried fiction so that would be challenge but you have given me food for thought. That’s some pretty excellent writing there, Malcolm, about a pretty difficult subject. Thanks for sharing it. Thank you Chris. I know that you have read your fair share of excellent writing so your comment is much appreciated. I hate hospitals. Love your writing, though. Thanks Nico, I really appreciate you. I love what you are prepared to share, and the eloquent way you share it with us. Thanks, Malcolm. Thank you Michele. I suppose it’s a function of age. My ego was left behind in the detritus of youth. What is there to hide about being human? Malcolm, thanks for sharing this. My only experience to date in one of those waiting areas was when my 19 year old daughter had a malignant melanoma. It was recommended that she follow up with an oncologist every 3 months for the next three years. It was an experience both of us weren’t really prepared for…even visiting that infrequently. I love your observations from that time in your life. I’m really glad you can wear the survivor t-shirt. :) Happy Passover. Thank you for your good wishes Becky. I will have to buy one of those t-shirts :-). Thank you for this terrific comment although I wonder at your thinking that the post is “fragile” and “light”. The mind boggles at what a post would look like that you might describe as “robust” and “heavy” :-). I felt like I was there as I read. I felt emotion as if I were the one familiar with the corridor, as if the magazine were the one I always pick up, and the couple folks I always see. Even with the attendant, I’v wondered what people I have to pass are thinking of me too. But in some kind of way, I found hope in your post too. You certainly read that post carefully. I wish my wife would understand my speech as well as you understand my writing :-). Often times people don’t know how to commit (listen) to something that is not their own personal experience or tastes, so they omit tuning in. But written work is like spending time with people, its a snippet of another’s reality so it’s worth tuning in. Plus, as it meets real life accounts, it can be a gift. We all have someone or will be that someone walking in your shoes one day. Reading someone else’s account, can even be like a pre-support (if you don’t use it to get to know another better). She may just need to find that why, in your speech to connect more powerfully. That’s all. Thank you, that’s an interesting distinction. Excellent writing…as always! I am also awaiting the “Malcolm’s Corner” book! As you know I do like your writing and your perceptiveness, but above all that I admire your unpretentious humanity which shines through this post bright with hope and gratitude! Thank you Daniela, unpretentious humanity is something we both share. You’re one of those warriors I hope to be someday. Lisa, I’m no warrior but I do try and follow the Stoic precept to only worry about those things we can control and to stop worrying about the rest. I hope your husband was too.